A short history of the ReactorPanel Saddle. 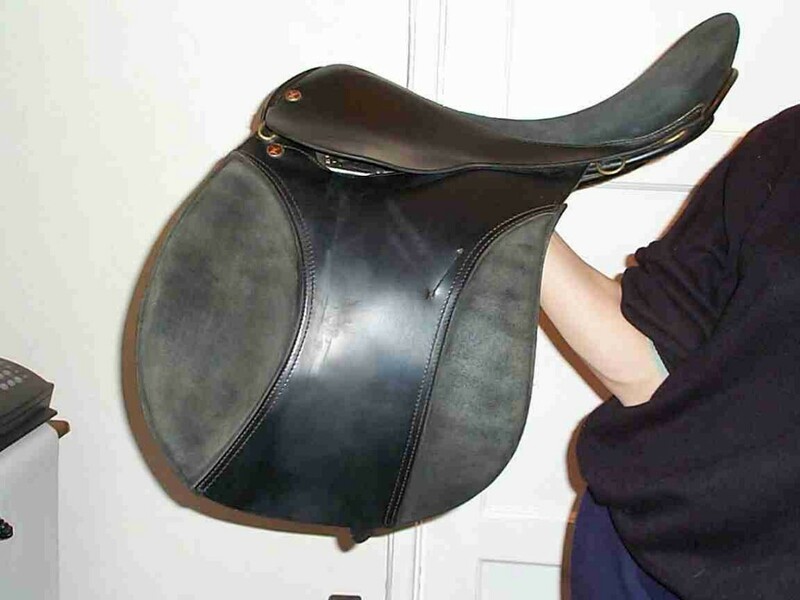 Click here for more General and Technical Informformation about our saddles. The ReactorPanel® Saddle was designed and first manufactured in 1991 by Barry and Phil Richardson of Roe Richardson Company Ltd. This Innovative saddle system based on a saddle with a British standard tree with flexible panels attached on velcro by shock absorbing, sorbothane discs was years before it’s time and in our opinion the design has not been surpassed since. Sadly Roe Richardson ceased trading in 1999 and since then Dean Woodward has carried on the legacy. Still Manufactured in the UK ReactorPanel Saddles are now used Worldwide with Phil Richardson now our Retail Partner for The Republic Of Ireland . In the late 90’s Dean Woodard Founder of Saddle Exchange,was trading in second hand saddles purchased at auctions when he bought a funny looking saddle which turned out to be a Roe Richardson Reactorpanel®. Intrigued by this he worked out how to fit it to one of his own horses and was amazed at how well it worked for the horse and how close he felt when riding in it. In the aftermath of the loss of Roe Richardson the customers who owned these saddles had no one to maintain and fit them as Barry and Phil Richardson were now resident in Ireland. Dean now filled this position, driving all over the country fitting the saddles and dealing in any second hand ones he could obtain. In 2000 he met the original makers of the saddle and started dealing in new saddles trading as Saddle Exchange also selling the Native Pony Saddle Company saddles he himself designed, Dean later purchased the assets of Roe Richardson Company Ltd including the trademark and Patents from the British Government as after dissolution of the company they had become “Bona Vicantia”. We often consult Phil, who gives important feedback on any new designs and processes, in safe hands ReactorPanel goes from strength to strength. Innovation continued in 2002 with the introduction of the FEI weight system for Endurance riders, giving them the ability to add weight into the saddle in a completely balanced way. Designed by Dean for Christine Hyde who then went on to win The 100 mile FEI ride at Alfreds Tower on her first outing with the system in place.The system is now widely used by most of our FEI customer. Dean also re-designed the numnahs to make them easier to remove swiftly at the vet gates. As time went on Reactorpanel® has gone from strength to strength, a number of new style of saddle being introduced based on custom saddles made for individual riders. For example the Lucinda McAlpine dressage saddle, designed specifically for Lucinda and The Christine Yeoman Endurance Saddle for Chris. Dean listened very carefully to their requirments before designing the saddles with the help of the saddle makers. All this culminated in 2008 when his customer Maria Alvarez Mercades Ponton became the FEI World Endurance Champion in Malaysia 2008 using her ReactorPanel® Endurance Saddle Dean sold her in September 2006. Maria then went on to win the European Championship 2009 and then in December 2010 she won the World Championship again 7 weeks after having a baby. 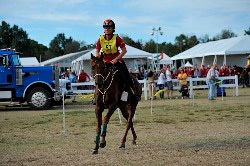 She has recently retained her European title in Florac 2011 making her the most successful Endurance rider of all time. 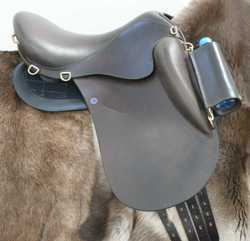 All on a ReactorPanel® Classic Endurance saddle supplied by us. In 2011 we were added two new saddles to the range, The Iberian Equitation Saddle, which was very well received at our visit to Portugal and an addition to the Endurance Range, the Xtreme ( previously known as the Tevis) , followed in 2013 by the Xtreme Mono-Flap. 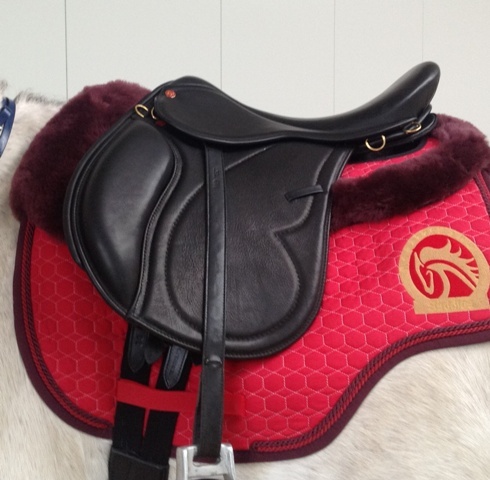 The saddles have been greatly received by the Endurance Community with the saddles are now being used by a number of high level riders including National Team members. In 2012, after 2 years of refinement and testing our new manufacturing techniques, fitting style and accessories the third series of ReactorPanel was unveiled at the World Endurance Championship at Euston Park August 2012. A new range of lighter weight, exciting new saddles, upgraded, 3rd generation ReactorPanel discs and coming soon some a really stylish new Numnah and saddlepad Range . Throughout the years Dean has enhanced not only the fitting of these saddles to perfection, providing optimum fit on every visit. The saddle styles have been refined, new models and accessories have been added together with new manufacturing processes. 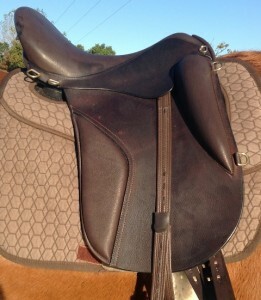 However the basic design of the saddle has remained the same since it was originally designed. You cant improve on perfection! ReactorPanel® Endurance is now complimented by The Comfort Endurance Range of Synthetic tack being used by the British Endurance Team for The Europeans in Florac 2011.